I just arrived in the FLX (Finger Lakes in Upstate New York) where the wine harvest has been briefly interrupted by some rain showers that are actually a welcome change from the long dry summer. It would take several inches more rain to pull the region out of the drought it’s in, but that seems rather unlikely. It wouldn’t be good for the quality of the fruit either, since it could lead to both dilution and rot. Of course there’s a lot of anticipation as to how this vintage will turn out for the FLX after much of the 2014 and 2015 crops turned out so well. 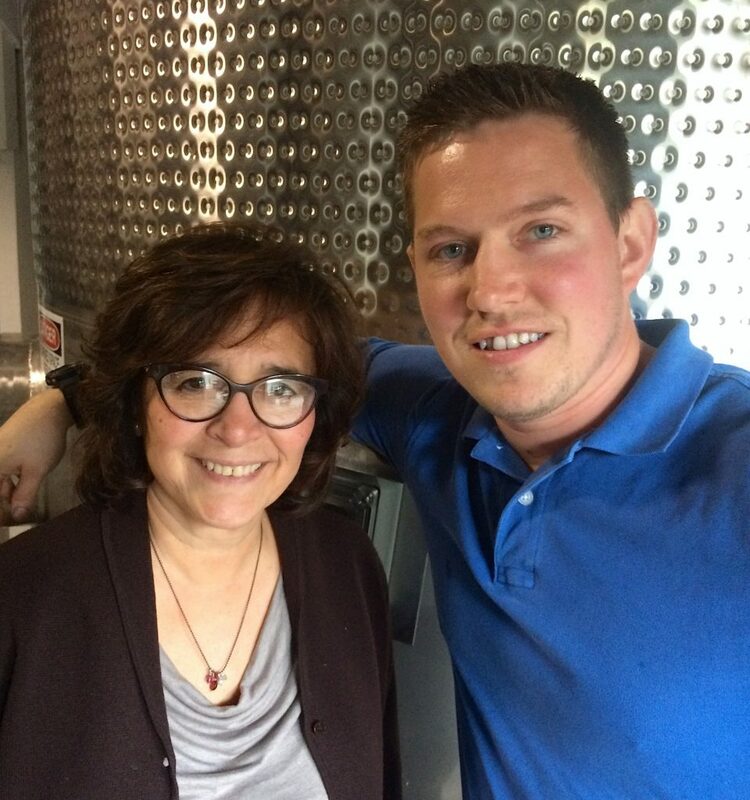 That’s why today I leapt at the chance to taste some fermenting wines at the Knapp Winery on Cayuga Lake together with the General Manager Belinda Venuti and the new winemaker Jerry van Vort (pictured left and right above). Jerry previously worked at wineries in Connecticut and Santa Barbara County, California. As different as the growing conditions in those locations on opposite coasts of the United States are, working in those divergent cool climate regions seems to have prepared him very well for the conditions and general types of wines made here in the FLX. 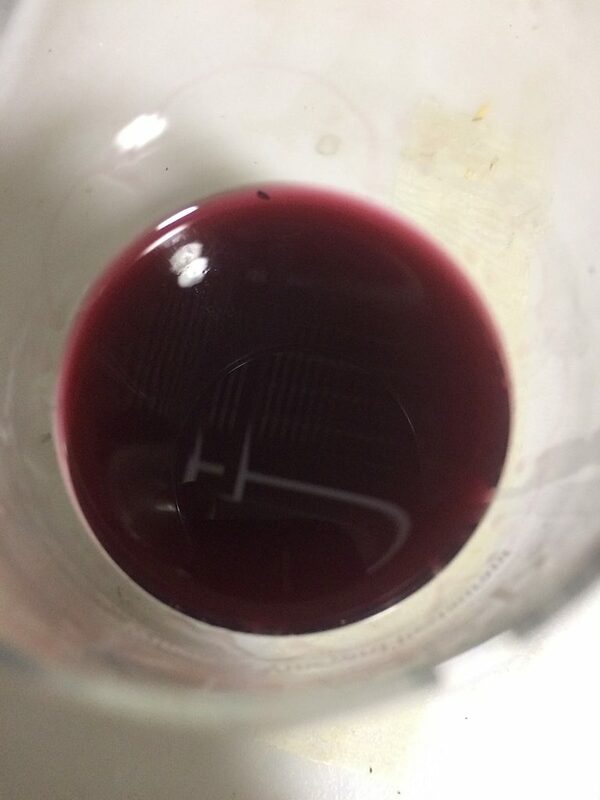 Of course, wines that are still fermenting or have only just finished their alcoholic fermentation shouldn’t be judged in the same way as finished wines in the bottle. Tasting embryonic wines is like reading science fiction. However, it struck me that Jerry’s done a very good job so far at mastering grapes from quite a challenging growing season. Riesling, Pinot Gris, Chardonnay and the Lemberger (a.k.a. Blaufrännkisch and Kékfrankos) red pictured below all made a very good impression. Just look at that color. No filter was used to enhance it, in fact the photograph makes it look paler than it did seen directly. Knapp is part of the Glenora Group of wineries and getting their own winemaker is important for reasons that go well beyond potential improvements in wine quality. Previously the Knapp wines were made by Steve DiFrancesco of Gelnora Wine Cellars and this lead to the widespread impression that this was just a second label for Glenora, although in recent vintages many of the Knapp wines (particularly the Rieslings) had their own distinctive style. That made a lot of sense, because Knapp has almost 40 acres of their own vineyards and they are located close to Cayuga like, while Glenora Wine Cellars is on the west bank of Seneca Lake. With Jerry’s arrival not only should that style become yet clearer, the independence of Knapp as a winery is finally immediately and easily comprehensible. The winery’s reinvention, which Belinda has been working at for 7 years has entered a new and decisive phase! This entry was posted in Home, ROCK STARS OF WINE AMERICA. Bookmark the permalink.